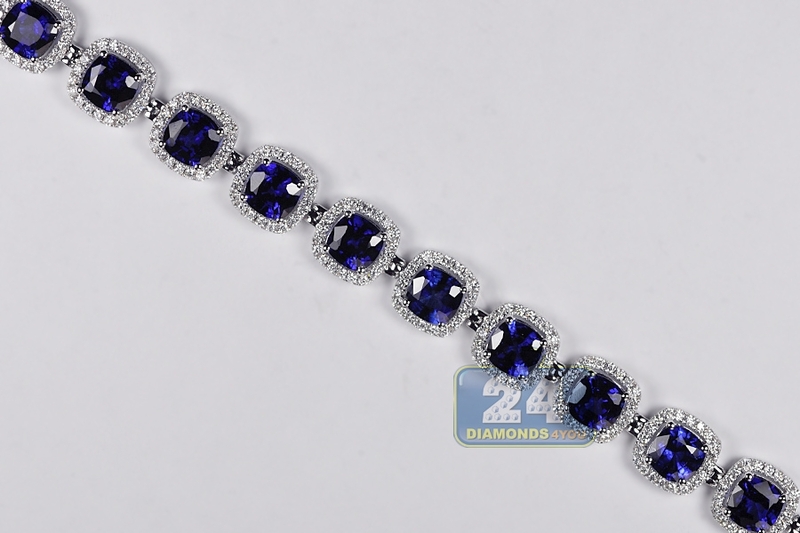 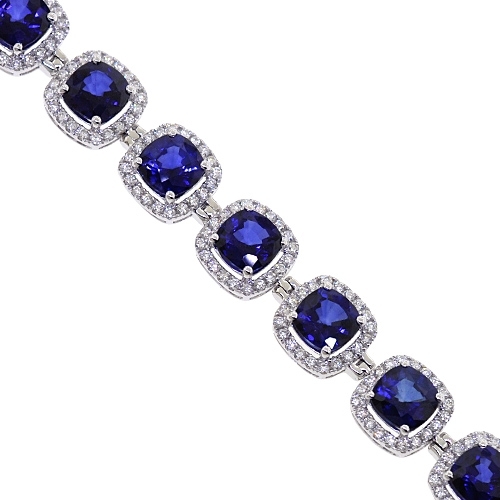 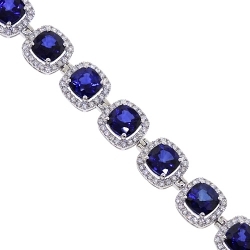 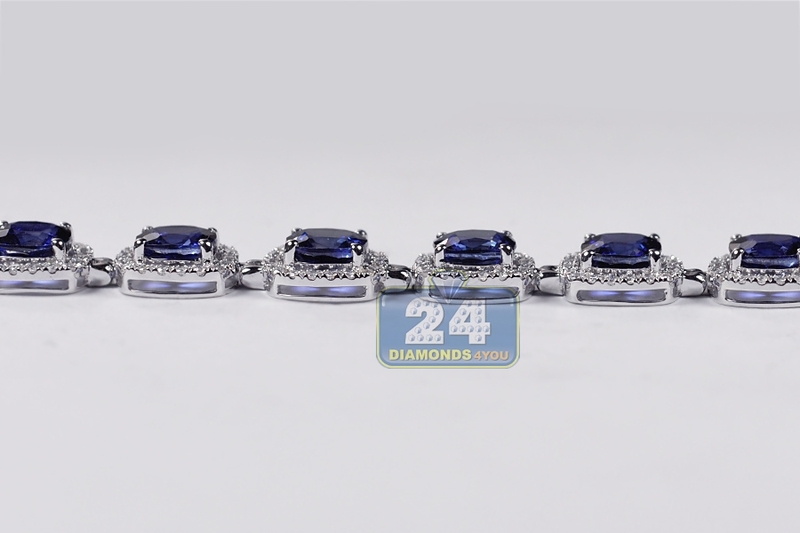 Womens Diamond Blue Sapphire Halo Bracelet 18K Gold 29.08 ct 7"
The halo design of our stunning diamond gemstone bracelet will take your breath away! 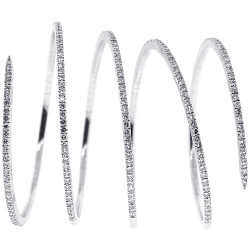 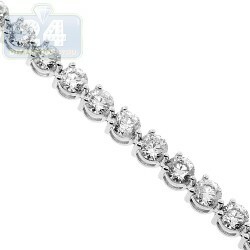 It's professionally created from cool 18k white gold, and features high-polished smooth finish. 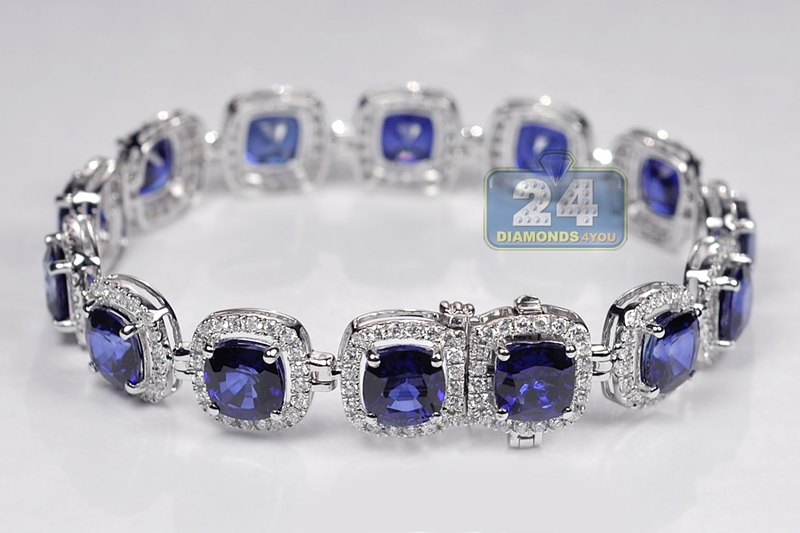 It's amazed with cushion-shaped diffused blue natural sapphires of 26.33 carats. 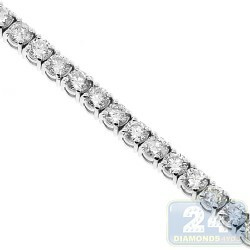 They're highlighted by icy white round brilliant-cut genuine diamonds, all totaling 2.75 carats. 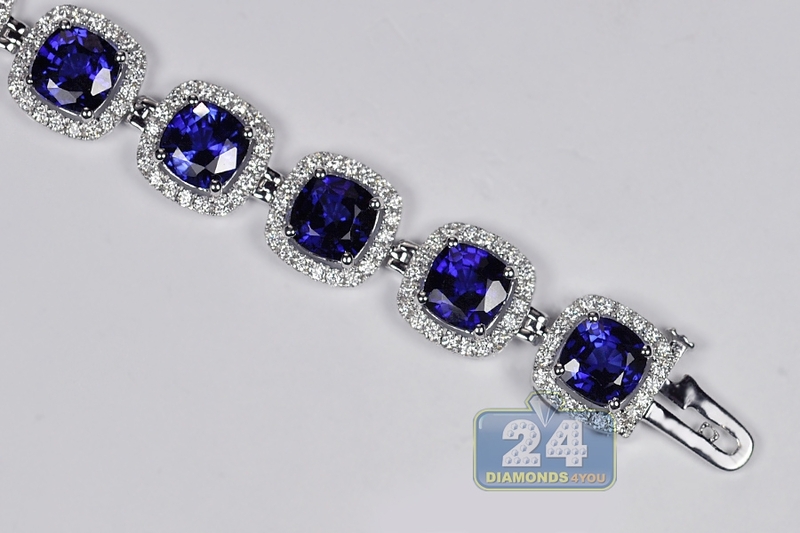 The piece measures 7 inches in length, 10 mm in width, and closed by a safe barrel clasp. 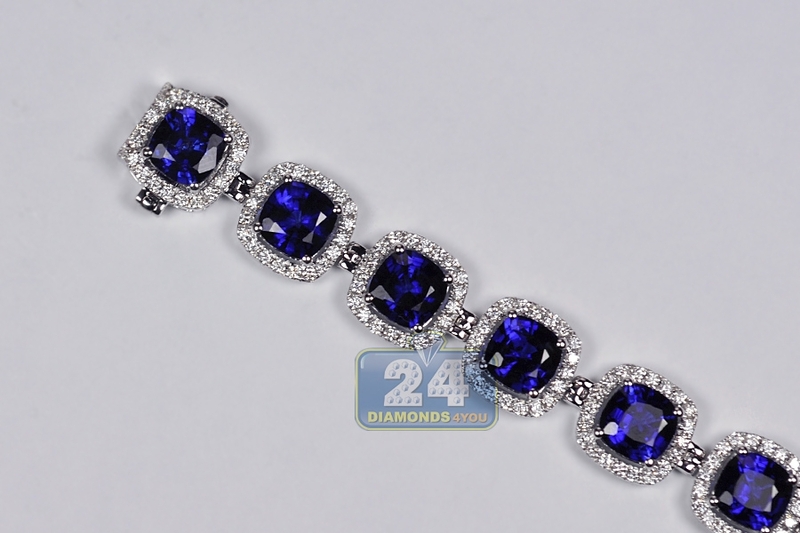 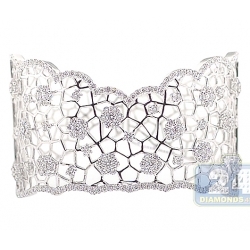 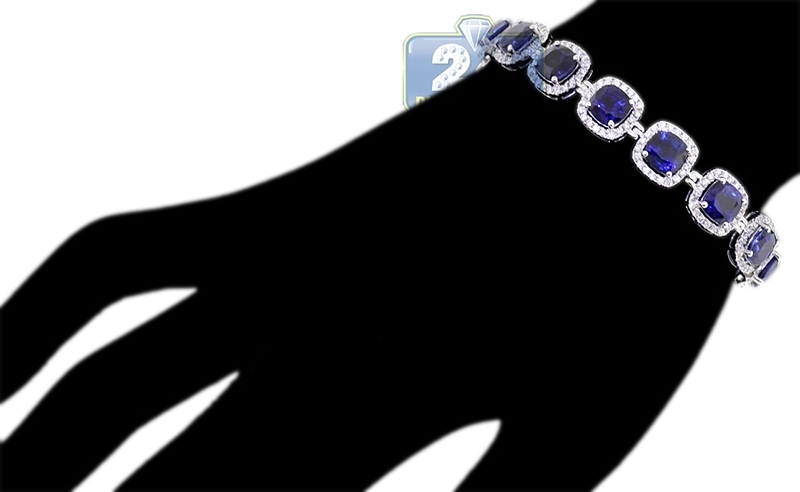 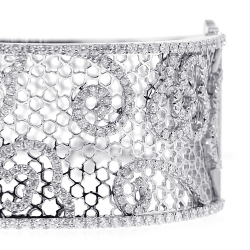 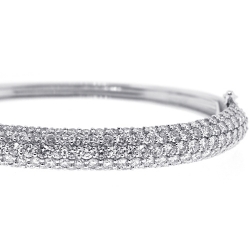 This womens wrist bracelet is an amazing find for the sophisticated connoisseur!